In the last month or so I wrote a couple of reviews for the Ball of Wax blog as part of my ongoing “Bad at Listening” series, where I pick something from the dozens of CDs I’ve acquired at shows over the years and review it. The last two were of Southerly and Man Man. This is a fun exercise, this reviewing thing. I know I’m not that old yet but I’m on this “archiving” kick lately to sort out all my crap and make sense of it. Mostly I mean files on my computers and stuff in my basement (like all these tour CDs), but also the stuff I remember, or think I remember. For example, I could say more about meeting Southerly/Krist in Wisconsin, details that don’t apply to an album review, but that I got to think about while writing it. Like meeting Seattle band Snowdrift, who also played that show, with whose then-drummer Keith I’ve remained friends ever since. And how after the show we all followed Krist to his father’s house in Appleton, then hanging out in the kitchen that night drinking beer, fighting my awkwardness regarding how to act having just met these people and now spending a night with them in a stranger’s house. It was fun though. The next day Krist made us breakfast, which we ate in his bright green Wisconsin back yard, and then I left to go to Chicago. At Oshkosh I passed by the airport where the EAA happened to be having, right then, their famous annual fly-in. This was a nice coincidence as I’m the kind of person who knows what that is. More than playing shows it’s all the time between shows that makes touring memorable, and why I wish I’d done it more. and I’m way into it. 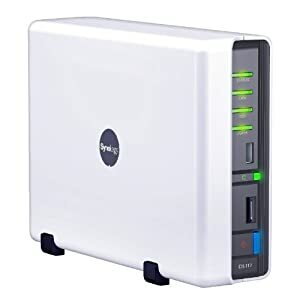 I’d been looking for a NAS solution for years, and this met all my criteria for ease of use, low power consumption, and file server features. It’s pretty much an external hard drive and a Linux server with a web-based desktop UI that’s stripped down for file server tasks. It can do a lot more than that, like running Apache and Mysql, but I ignore those. The fanciest thing I have it do is nightly incremental backups from itself to a USB hard drive, for redundancy. Sadly, this excites me beyond all shame. As a result of this purchase, I’ve been going through tons of files from various computers I’ve owned over the last 15 years or so, and deleting them or throwing them onto this thing. It’s amazing how much time I can blow doing this, but there have been some rewards, including some b-side songs I expect to post here eventually. I have to be careful though. Life is short, it’s better to make new things/memories than to be sorting through old ones. This entry was posted in Meta, Projects, Reviews. Bookmark the permalink.